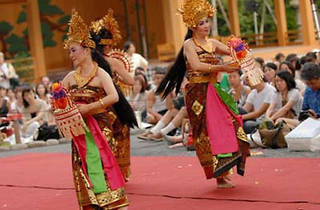 The Balinese counterpart to the Asagaya Tanabata Matsuri reaches its 10th anniversary this year, supplying two evenings of free gamelan and traditional Indonesian dance. Bonus marks to anyone who can explain exactly why there's a Balinese festival held in Asagaya every year, but it sounds like a pretty tempting proposition either way. Note that the event will be called off if there's heavy rain on the night.